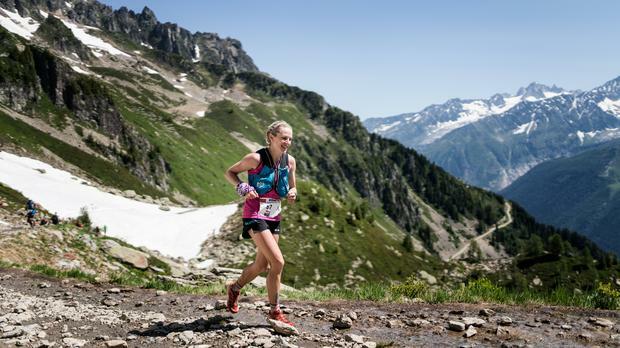 Megan Mackenzie is living a dream and underlining her status as one of the world’s leading trail athletes, following her rise to fifth position in the Salomon Golden Trail Series rankings after the first two series races. 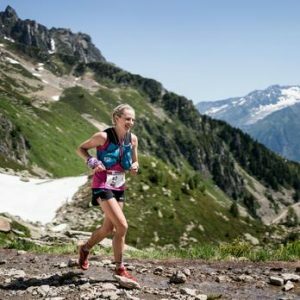 The Cape Town trail athlete’s consistent performances in the Zegama and Mont Blanc Marathons over the past five weeks have seen her leapfrog several “star-status” athletes and will no longer enjoy relative anonymity when she lines up at Sierra Zinal in Switzerland on 12 August – the next race in the series. The reigning Otter African Trail Run champion had the courage to mix it with the world’s racing royalty in the French Alps last week, going out hard and staying in contention for much of the Mont Blanc Marathon, eventually placing eighth after a gruelling final uphill stretch to the finish. “I’m super happy with my race,” Mackenzie said after the race. “I went out hard from the beginning and surprised myself that I could hang on. Mackenzie is delighted at her success but remains focused on the remaining challenges for the series. “I’m completely over the moon about being in fifth position,” Mackenzie remarked yesterday. “But I realise that there is still much work to be done and other races just around the corner. I’m just trying to keep up the momentum and to keep training hard. “This week I’ve been doing a lot of alpine climbing and recovery work – it’s really great and makes you strong without the impact of running,” said Mackenzie, whose second passion is rock climbing. “And it’s nice to have (South African ultra-trail star) Ryan Sandes in Chamonix for the next week to get back to some good training. At 4478m, the Matterhorn is a regarded as one of the most challenging peaks in Europe, requiring sound technique on alpine rock, snow, and ice, in addition to exceptional physical condition.